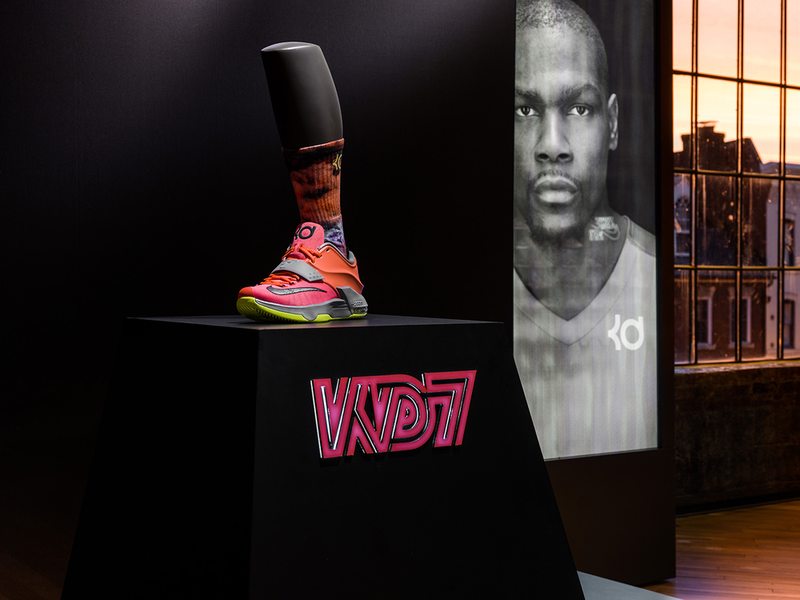 SET Creative was asked to design and build the Kevin Durant 7 footwear launch at Nike Georgetown. 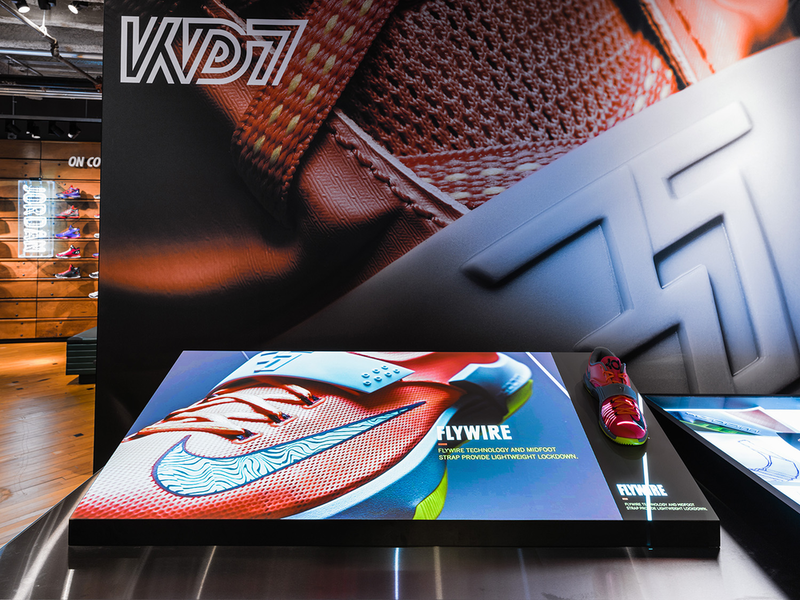 Our team worked closely with our partners at Nike Basketball to develop an interactive space for our consumers. The new KD7 color-way was revealed during a short Q+A with Nike Designer Leo Chang and Kevin Durant.